Cheruvayal Raman, a tribal farmer from Kerala’s Wayanad district, received the National Plant Genome Saviour Award for his efforts towards conserving 45 varieties of rice seeds. He has been conserving these seeds on his three-acre plot for almost 56 years now. He grows and preserves these varieties knowing well that they don’t have many takers in the market. Raman and his interest in protecting genetic diversity of rice go back a long way. A member of the Kurichya tribe, Raman started farming when he was 10 years old. But the world first came to know about him, his farming methods and seeds in 2004. In an obscure town near Mananthavady, this conservation activist has been tirelessly distributing seeds to farmers in exchange of a promise that they will return same number of seeds next year. “Seeds cannot be sold because it is love and care rather than a commodity,” says Raman. Every year, he distributes about 150 kg seeds to 250 farmers across the country. What other crops does he grow other than rice? “Jimikand (yams), arabi (colocasia root) and ragi,” says the 66-year-old farmer. Raman welcomes students, researchers and farmers from different parts of India to his traditional house to learn about natural way of farming. He has also travelled across Kerala to sensitise students and farmers on the need for conserving genetic resources. As a proponent of organic farming, he follows the lunar pattern for land preparation, sowing and harvesting. For example, full moon days are considered ideal for planting since rodents remain in their burrows on this day and do not attack sown seeds. Raman uses a native cow for the continuous supply of cow dung and urine. Tilling the land after 20 days and irrigation are the two main requirements for the growth of these traditional varieties of seeds that do not need chemical fertilizers and pesticides. No pest or crop disease has been observed so far. Interestingly, he doesn’t have any labourer working for him. At a time when the focus of farmers is on increasing the yield per acre and the agriculture sector in Kerala is contracting, Raman’s battle to preserve age-old traditions of cultivation looks even more commendable. The man is leading the battle for preserving indigenous seeds but he rues the fact that he loses around Rs 20,000-30,000 every year for preserving the indigenous seeds. These seeds are not profitable because he cannot sell and make money out of them. 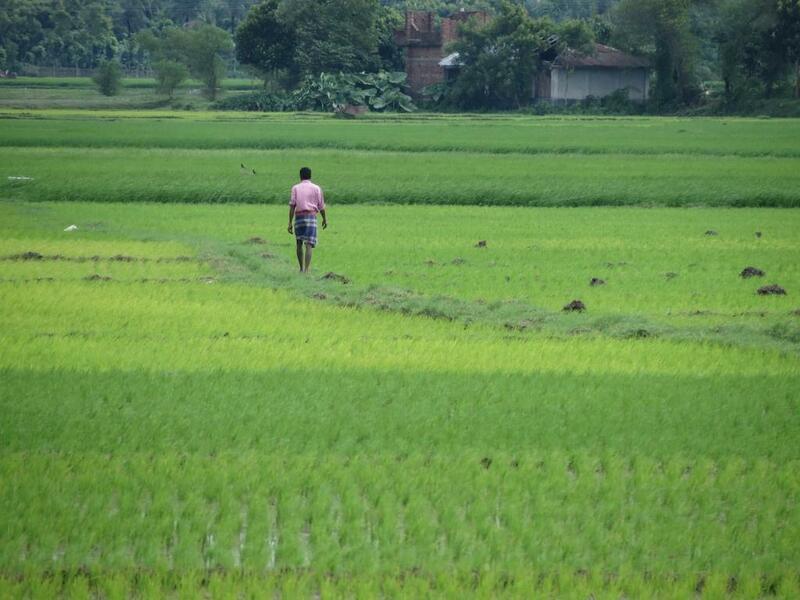 In case you don’t know, paddy fields are vital for Kerala's environment and ecological systems. They not only provide natural drainage paths for flood waters, but they are also crucial for the preservation of a diverse range of flora and fauna. Out of all the varieties of rice that Raman grows, Kalladiaryan, Thavalakannan, PunnatanThondi, Onamottan can also withstand drought. On a different note, don’t be surprised if you find Cheruvayal Raman’s paddy fields in your itinerary if you opt for Kerala Tourism’s ‘responsible tourism’ package. Hats off to Raman, the Saviour. This is an amazing story! Very inspiring. He preserved trhough ages when everyone is running for higher yielding seeds. He should be made famous! It is great ,a man protecting about 40 varieties of rice for the coming generations. We should mind the pain he took for this effort. I salute him and support his effort . I will try to meet him while visiting Thirunelli temple.